I was recently interview by Ali Salman of Xoomly on the “Escape 9 to 5” Podcast. Good morning Growth Nation! Thank you so much for tuning in today. I’m your host Ali Salman. Ditch your “dollars for hours” mindset, leave your corporate job, screw the morning commute and skip the nine to five grind. We’re calling out to the people who don’t want to live on autopilot, who don’t want to settle, live in an average house or work at a good enough job because we have been told a story millions of times. We spend twenty minutes every day with successful entrepreneur; in this podcast a successful entrepreneur will share their story and idea on how to achieve business success. I also deconstruct the reasons behind their successes, habits and rituals. Since 2005, Phil has owned and operated a digital agency based in Kansas City. In 2016 Phil and John Jantsch of Duct Tape Marketing co-wrote SEO for Growth: The Ultimate Guide for Marketers, Web Designers & Entrepreneurs. 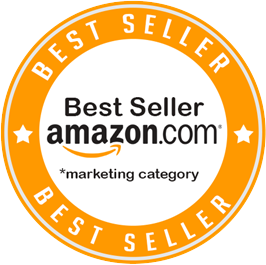 SEO for Growth is an Amazon best seller and has been rated as top marketing book by Mashable, Oracle and The Huffington Post. It’s been also been featured on MSNBC, Entrepreneur and Search Engine Journal and many other leading industry publications. 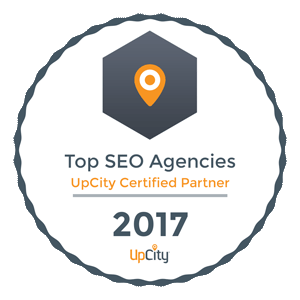 Phil and John are currently entering the next phase of the partnership by offering SEO training and SEO certification programs to marketers and web designers and creating a national network of certified SEO consultants. Phil are you ready to take us on your success journey today? Phil Singleton: I’m ready to rock. INTERVIEWER: So really before 2005 what the hell were you doing? You said you know what “I don’t want to do it anymore” and SEO is a thing that I was going to dabble into. Phil Singleton: Yes, it actually started even before I got out of school in the 1990’s. I went to school and I got a B.S. in Finance. So I was up in Connecticut actually on the East Coast of the US and I got this job in an insurance company as a bond surety underwriter and I kind of rode that out for three years. I was in a cubicle, I was looking around the office and I saw people that were twenty, thirty, forty, years older than me that had been there their entire career and I really felt at that time like “OK this is over”. Over the course of that first year, then the second and third years, I was kind of of like “geez” my career path is really kind of being defined about how the opportunities are falling in front of me and I was felt like I was kind of being trapped and I just didn’t want to be trapped in a skill set. You stay in the job for a certain time and that’s how people define you and also now you’re going down a career path that you really never chose. It might have just been whoever hired you out of school or what opportunity came in front of you; so I really after that third year, the guys drop me a nice bonus to me, I think it was like four or five thousand dollars. I was like “holy cow I’m rich” but I still felt like I was like I can’t do this [for a career choice]. I have to make a major change in order to change the trajectory of my own career path. I want to take control of my own life, rather than let life happen to me…. So in that case you know my father had worked for AMC theatres almost all of his whole life which is a movie theater company here in the US (and they had been expanding internationally at that time) and I had a buddy of mine in college that was doing a lot overseas. His twin brother actually, I guess been living and working in Japan for some reason Asia was always really, really, interesting to me. So at some of that when I picked up my bags did a little research and I moved to Taiwan of all places right. INTERVIEWER: And when was that Phil? Phil Singleton: That was the mid 1990’s to late 1990’s. INTERVIEWER: So you were trying to make that big life change already back then? Phil Singleton: Pretty much that is how it all started, I went for a big change, like a major life change…my parents were like “has this this kid has lost his mind” or something? But, I went there, I studied Mandarin of all things. I lived in Asia for three years came back then ended up getting my M.B.A at Thunderbird which is a business school here in Arizona and right after that I picked up a job there in the middle of the “dot com era” that was really trying to help US companies get Venture Capital funding in Asia. So I got the job in Arizona fresh out of graduate school, and they moved me straight back to Taiwan and I ended up staying there for another seven years or so all through the dot com era. Of course, that bubble burst, busted this really kind of changed my whole life and set me on my current path. It was basically a venture capital company and that kind of stuff suddenly dried up. Then, a company out of St Louis called the 321Studios; they did (how many of you remember this product? ), but back in the day there was a there was a DVD copying program called DVD X Copy and it was similar to Napset but for movies,…remember Napster back in the day? So after Napster, there was this digital video version where people had this consumer software product called the DVD X Copy and it was sold in the US and all the major retail stores. But they were copying consumer DVD movies, but the Hollywood studios basically came after them and ended up winning a court battle and ultimately shut them down. To make a long story short, I was already in Taiwan this opportunity fell in my lap. Keep in mind, “fair use” DVD copying stuff was still legal in a lot of other parts of the world meaning you could buy a movie and make a personal backup copy. So this company kind of fell on my lap and we ended up having roughly 25 employees running this business in Taiwan. We’re doing sales internationally, but what I noticed (and this is kind of what led me to here to where I am today) was I noticed that half of our sales or half of our revenues were going to affiliate marketers. For our big affiliates, they were basically running their own blogs and forums and online communities, we ended up writing very large affiliate commission checks every month for guys that were working maybe one hour, two hours, five hours a week….and here we are getting fifty percent of that sale. BUT I had twenty five employees, investors, product development and support costs, etc; our piece of that pie shrunk down to crumbs. So at that time I was like “holy crap” most of this is being driven by Google; and keep in mind this is like fifteen years ago right. People are searching for stuff and I was like “aha!” this how is this happening. So I started really trying to get my head around how Google ranks web page. aka Search Engine Optimization, and what things we could do to maybe become our own affiliate marketers. Shortly after that, Hollywood took its battle against fair use rights around the rest of the world, and basically applied this law internationally. I moved back to Kansas City 2005. It was a nice run and a great pay day, but not something that we could retire on. So we moved back into Kansas City after staying in Asia for about ten years or so, and I just kind of hung around for 2005 for a year trying to figure out what to do next; I bought a house and my wife and I want to start a family. My agency today all started with one website. I bought a sports car just as kind of fun as a project, went into an auto detail shop, and the guy didn’t have a website or whatever and I said “I want to build a website for you”. I said: We’re going to build a website for you, get it ranked on Google so people can find you; it changed this whole guy’s life. He started to getting his own retail customers directly and at much higher margins than the referral jobs he was getting from auto dealers. This one site I did on a whim kind of rolled into more websites, and now kind of a full scale agency where we are today in Kansas City. INTERVIEWER: Wow! Amazing journey, so like 2005 you started right the agency and 2016 now, like the eleven years into the business, what does the numbers look like behind the business? Phil Singleton: Well I started honestly in the very beginning, I mean you just kind of beg, borrow, and steal as I looked at it to just trying to get a good portfolio and references. It’s hard to sell anything when you don’t have a track record. So that first deal that I did I actually did as a barter, and added a few other ones after that, that were either barter or on a revenue sharing basis, but the main idea at that point was really just to try and get some what I would consider “screamers” or client’s that will swear you are the best thing ever. So that’s when I went to work trying to build up a portfolio. I could actually point a prospective client to a reference who would say “hey give this guy a call” My client would answer the phone and would say: this team is awesome; they’ve actually changed my life, my revenues are growing two or three times, etc. These initial clients helped me close the other new clients, so that’s kind of how I started – bootstrapping literally by kind of investing in myself and not really trying to worry about close enough three thousand or five thousand dollar websites, or higher dollar monthly SEO engagements. So it kind of just started off in the first year, not too much, again I was kind of living off the success of the previous venture before that was kind of sold. It ended up being more of a lifestyle gig for me, so I ended up having kids in 2009, so I actually treated the business a little bit more as a lifestyle gig for the first few years. INTERVIEWER: So money wasn’t your first priority for you at first? Phil Singleton: Well, yes, I had kids. My dad worked a lot in an office job, and I wanted to be at home and be with my kids as much as possible . So my goal was to work when I wnated to, and try to build up a reputation. But it didn’t take long to start working my way into the six digits. Then when my kids turned six years old, they started going to school full-time. Once that happened, I took the gloves off and I said I’m going to dedicate myself to this business, invest in office space and build a team – and stop turning away work. So then you’re talking about going from maybe two to three hundred thousand dollars a year up into the seven digit range, the game changes a lot. Now I’m really trying to focus in on building a scalable business, and trying to take what we’ve done here in Kansas City in a play and teach other folks how to do in other parts of the country through through licensing agreements that we have with SEO for Growth. INTERVIEWER: Yes So that’s an end of the interesting thing you’re working with the share of share what listeners should that that they get what’s going on because you can clearly see that you said you know you have the next phase basically what you’re working on is to training and certification program. Phil Singleton: Well so yes so what I’ve had here in the last say ten years, although I think really more so in the last three years as the business has taken off, and that directly correlates to when my kids went to school full time. We’ve really built I think something pretty special and unique in Kansas City where if you search for any type of web design, SEO, PPC, marketing consulting, etc, our websites rank well pretty much across the board, and that’s really helped us to get a ton of business. We average 3 to 5 calls a day, and yesterday we had 12. What we have tried to do is take a close look at web design and and how business in this space work around the country. It’s kind of like legal services in that you don’t really see like any national franchises, it’s very fragmented because a lot of this is “talent based”. You’ve got a lot of these agencies that are the do their thing, kind of in their own metro area, but you don’t see a lot of McDonald’s style recognizable brands that are executing at the local level. The same goes for personal injury lawyers – it’s not one national firm – you find and go to one in your city. I think a lot of web design agencies in America are similar, again it’s a talent based service. So what we’ve tried to do is figure out how to take the success that I’ve had with my own agency in a way that we can try maybe teach and others. I’ve kind of skipped over and important part – Duct Tape Marketing – because John Jantsch has been been really instrumental in helping me take my business to the next level. He wrote Duct Tape Marketing and is a Wall Street Journal best selling author. He’s a pretty famous small business marketing expert, probably one of the most famous ones out there today, and I actually became a Duct Tape Marketing Certified Consultant three years ago. This really to opened my eyes to the broader landscape of marketing in that I kind of had my SEO and web design blinders on, and John helped me get a clearer picture of the overall marketing landscape. So Duct Tape Marketing really helped me do that. 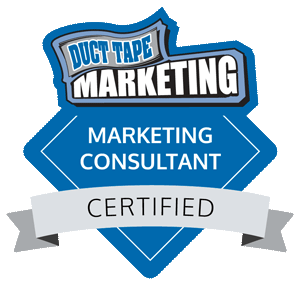 I became a Duct Tape Marketing Certified consultant, and that enabled me to develop a personal relationship with John who is a global influencer in this niche. I showed him what we’ve done here in Kansas City and I think he became comfortable with the kind of things that we’ve done, and then we eventually partnered on the book – SEO for Growth. The second phase of our book project was to develop a package to instruct marketers and even them get leads in other parts of the country in the way we’ve done it here in Kansas City. So writing a book together John, which basically outlines the entire process that I’ve used to build my own business, and what tactics and strategies go alongside with it. We use the books as a basis to introduce and instruct people, then offer a way to certify them as well as provide a brand to help people help people to generate leads. We had two beta websites, one in St Louis and one in Atlanta, so if you do a Google search for St Louis SEO or Altanta SEO, or St Louis SEO, you’re going to see these SEO for Growth sites coming up on the first page, and in some cases the top three, for our licensees. We now have ten more people that have are signed up this month to go into their cities. That’s really kind of how I try to take my you know kind of all started from one of the telling website rolling into a rolling into an agency in a midsize market. Try to take that formula and then spread it out but by going to develop in the certifier. INTERVIEWER: Got it OK to make sense because now you can scale a bit more too. There you go growth nation lake you know it’s an amazing journey that they can fit into a take he vent and started a business just purely on lifestyle and that’s what I say they can do you designed a business to be you want to design it and that’s the beauty of doing something online or the Internet is and then they get the time benefits said hey you know what I want to scale this I would actually get more aggressive after his his kids were in school that was the second step right he took and takes you know now to basically going from they can let’s say one person free lancing kind of an operation to P.C.T. a scaly but agency doing seven that’s figures right that’s sort of a good example of they can grow they can all. Taking it slowly but in a more manageable way but they can a you all at the same day you want to have a lifestyle that you want to live right so Phil. That’s a good go on the business site the shared with the listeners like how does your routines look like and how you achieving your goals. Phil Singleton: Your podcast’s name ‘Escape 9 to 5″is great. When I first saw then name, it really resonated with how I felt coming out of school my job – I felt trapped like I was miserable watching the clock. But now I feel like it’s not really “escape” 9 to 5 it’s more like “live” 5 to 9 – that’s kind of how I live my life now. I wake up really early I try and do as much as I can. From five o’clock to maybe eight or nine o’clock in the morning, I get a jump start on the day. I feel like I’m working kind of all day long but I’ve got the kind of job now that I take time out an hour to go put my kids or go fishing or whatever I want. You know what, I’m really passionate about what I do and that is the key to all of this. When you’re passionate about something, it’s not work anymore. I like working with clients and I don’t even care so much about collecting the fees as I do about earning it. I want them to believe in me and think about me as being part of their business, rather than just trying to figure out are they going to pay me next month. So can you try to make sense so. They can building up on that question as they can of what has to be one of you pushed and habits which you say that you think that has directly quote you predict which will continue success I mean since two thousand and five you were running this agency have been successful and now you’re scaling it right so what would you want you would one of the push that habits I think for me waking up early of course I’m a morning person so. But I do feel like it’s an advantage to get up right out of bed at 5am or earlier, and get a jump start on the day, doing more than a lot of people may get done by 9 am or 10am. I feel like a get a full day’s work by mod morning, and I’m still working throughout the rest of the day. I am not sure if you would consider this, waking up early, a habit? INTERVIEWER: Yes it is. We did a study across hundreds of episodes recently and consistently over some 1,994 entrepreneurs over 90% of them wake up between 4 am and 5 am. Most of them also had some sort of a meditation a workout routine. Phil Singleton: OK, so I have a couple other of those “habits” – I block out Mondays for any type of meetings and really just trying to catch up to stuff so that’s and I generally only trying take business development meetings in the afternoon, so I’m focusing on more technical stuff and strategy, and really more on my own business to make sure we succeed and continue growing. Again, I am not sure if you consider this a habit, or just kind some kind of structure, but I would structure in compartmentalizing your D.S. property for more productivity security right which would make sense so feel like you don’t. INTERVIEWER: Let’s Talk about the business side. OK, so let’s say I mean you are actually working with companies and helping them get certified but if you were to start your business to day, what would do it differently. Phil Singleton: Wow. Well I think one of the things that has made a big difference is is really trying to figure out as early as you can how to establish your own personal brand and authority and that kind of stuff. I can say first hand that my book with John Jantsch has taken my business and career to a whole new level. 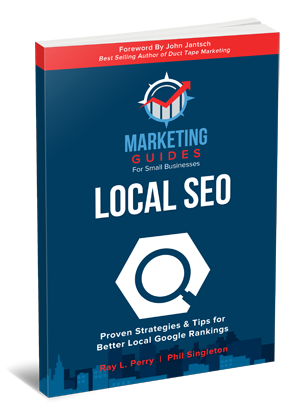 But I have another (earlier) book called Local Lead Generation, that I co-wrote with five other authors. Going through that process and having some kind of a physical thing that helps us establish yourself as an authority in a big differentiator. It’s and that kind of stuff I really wish I would done much earlier one because when people think about writing books they think about the old way writing books. And it was just hard back then because you had to have a formal publisher and maybe put a bunch of money down. But, it’s so easy to self publish and reach millions of people (via Amazon) without having any middleman gatekeepers. Today, writing books is not really about making money from book sales, it’s about establishing authority. Once you’ve published a book you’ve got something to differentiate yourself, but really handing a book to somebody also shows that you can execute a complex project. So, this is something I wish I would have done a lot earlier in my career. The other thing I think that with the it is the bit of advice or something I probably would wish I would have learned or tried earlier is just trying to build a website by myself and figure out all the keys, the processes and the right approach. I wish I would have spent more time on that part because you look at it from my side, a lot of people look at me as a web designer but in some ways I’m really an imposter. I’m a business person and a finance guy. I just followed the path to website design through Google, because that’s where the return on investment is. I am an industry outsider, so I had to learn from the outside in. Most people in this business today started out as a programmer or as a graphic designer. So I wish if I would have gotten in a little bit earlier maybe and got my head around that process and tried to put together a website by myself rather than totally trying to lean on other people to do it. I think that would have helped because if you think about what it takes to build a website today, in terms of managing and executing your own project (I don’t care what business you’re in) if you understand the way a website set up and how the rest of the Internet relates back to to it then you really understand a lot about just business and modern business in general. I was attracted to finance because I’m an introvert, and so with SEO I was also attracted to being able to make money without ever having to put myself “out there”. I never had my face on my website or on social media channels with any personal information. But then Google then changed and updated or added news algorithms that now favor content, trust and authority, and now you see me out there writing books, writing guest blog posts, getting interviewed on podcasts and really trying to put my name face and name out there. This is a bit of a struggle for an introvert, right? But that’s something that you’ve got to do to break out on your own. 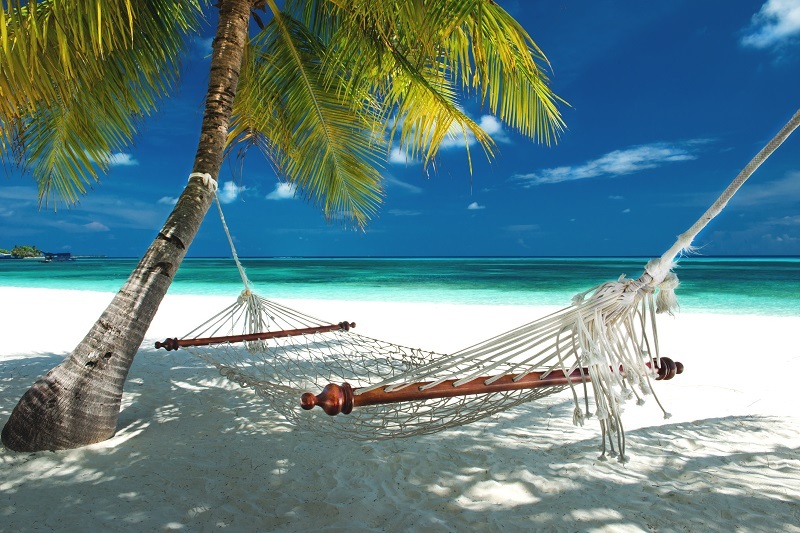 If you live your life from my perspective, try to get yourself out there sooner than later because that’s kind of how you can attract leads and get more clients and business and revenues. I think self publishing or writing a book is key. I also think every person should kind of have their own personal blog or something website that would carry with them if they choose change companies or career paths, so that they have some way to establish and document their experience and track record. One of the most important things on the Internet today, no matter what your business is, is having a living case study about yourself. You want to make sure that you try to impress folks as you work with them, and follow up with them when you’ve done work for them. Document this work on your personal website and on Linked via recommendations. If you have a website, showcase those testimonials. Collect all of that information over the years, so that when somebody wants to consider you or your company as a service, the social proof is there. This is how we buy and hire these days. If you go to Amazon or whatever, we’re all looking for social proof and reviews and that kind of stuff and I think that’s something that people should be working on for their own businesses and personal brand. Book writing fits right into this. When the book you write gets, published you inevitably get reviews. Third party validation is key. If you write in your own LinkedIn profile or resume and you say how awesome you are, that’s worth about one penny. Yet, when an army of other people say how awesome you are it’s worth thousands of times more. It doesn’t matter if you’re in the web design business, or trying to sell yourself into another job, you’ve to have a referral source for your best work. Recommendations and reviews are things that all people and businesses should focus on ASAP. INTERVIEWER: Are you ready for growth nation rapid fire round I believe? So what is your favorite book? INTERVIEWER: What is your favorite online tool? Phil Singleton: I would have to say a AHrefs.com because that’s the one tool I think I could still run my SEO business if I had to give up all others. SEMRush would be a close second. INTERVIEWER: Wow Pretty impressive. I like SEMRush a lot, yeah we have that on too. What about your favorite online resource. Phil Singleton: The one I would need to run my business is probably Search Engine Roundtable because those guys basically scour the internet for all the SEO chatter. We hear stuff and can see stuff on that site first, before it’s reported anywhere else. That’s the once site I check every day you. INTERVIEWER: An individual you’re inspired by. Phil Singleton: Gosh I got to Dad on this one. He went from being a Vietnam vet to being an assistant manager at a movie theater and worked there for thirty two years. He retired and retired as the president and COO. He had no you know no silver spoon or anything. He came back to the US after the war with people basically spitting on him, yet ended up becaming the president of what was the largest movie chain in the U.S.
Next I’d have to say John Jantsch. I mean I am basically trying to do everything he does. I’m trying to emulate all of it, all the way down to trying to get myself out there on a great podcasts like this one! INTERVIEWER: I haven’t read Duct Tape Marketing yet, but I heard about it and heard it referenced a lot of times, it’s definitely going on my reading list for sure. Phil Singleton: I had not read it it, but then I had it recommended to me so many times I was basically “forced” to read it [laughter]. INTERVIEWER: What is your advice for people looking to escape 9 to 5? Phil Singleton: Gosh I think now is the best time to try, because fifteen or twenty years ago we didn’t have all these places for people to go to outsource via gigs and side hustling. What a great time it is to be in a position where you feel maybe like you’re stuck or you’re trying to earn a paycheck, but can go out test the waters via side hustling. In terms of advice, I think that something is – if you haven’t done this already – set aside some money and make your own website through some outsourcing partnerships. This may sound funny, but I think you need to manage a website project and figure out how to execute a project like this this on five hundred or thousand dollar budget. Find out how to how to source someone for design, and someone for coding, and content, and learn first hand how to put all the pieces together. This exercise can help people open their eyes up to digital marketing – and it’s easier than you think it is – if you’ve got a “hustle” mentality. I think everything that you learn in this process is transferable to anything you want to get in to, or even even advancing yourself in a position where you’ve got a corporate job you love. Knowing how to do this kind of stuff can really help you open your eyes up and maybe be able to add more value to your current job. INTERVIEWER: Growth Nation, Phil just nailed! I mean digital marketing is not just a service, it is a skill. You can have a blog, a software business, A SaaS service, be CPA or an advertising firm – the bottom line is that Internet marketing and digital marketing is a skill . If you can learn it, especially by doing it, it’s probably one of the best skills to have right now. Phil Singleton: I am in total, total agreement. INTERVIEWER: So Phil, if people want to get in touch with you and if they want to follow you online, how they can do that? Of course we’d love to have people check out as SEO for Growth. INTERVIEWER: I was just going over the site and checking out all of the testimonials from people like Chris Brogan, Jeff Bullas, and and other leading industry guys. So I would highly highly recommend you go and check it out. Joining us from Kansas City today and taking us on his success journey, Phil Singleton – thank you Phil.